With all the recent discussion over the ProLeague, I wanted to move away from discussing excellence within the best-of-one setting, and take a look into the greatest best-of-series players of the modern era (basically players who made their debut after the creation of the KeSPA drafting system in 2005, with the exception of Stork, because he is the only player to have remained a top player to the end of professional Brood War despite being an old guard player, which makes him just as much as a part of the modern era as any other player). 1) Any best-of-series that was played below the round of 16 will be excluded. -> Since the seeding system was around for most of professional Brood War, I didn't want to punish the players for being good enough to be seeded, while proficient newb-stompers were racking up huge numbers within the preliminary stages. 2) Any best-of-series that was played in a tournament that had less than 16 professional Brood War players participating will be excluded. -> Showmatches and small scale invitationals such the Heritage Match, or MBC Skins League were not truly legitimate competitions, and players weren't necessarily invited for these tournaments based on their merit. I think a threshold of needing 16 or more professionals players to participate was a decent enough barrier to exclude those kinds of competitions. 1) Any best-of-series that was played after the round of 8 within the Ongamenet StarLeagues. 2) Any best-of-series that was played after the round of 16 within the MBC Game StarLeagues. 3 Any best-of-series that was played after the round of 16 within WCG Korea. 1) Any best-of-series that was played after the round of 16 within the GomTV Classics. 2) Any best-of-series that was played after the round of 16 within 2007 Seoul e-Sports Festival. 3) Any best-of-series that was played after the round of 16 within GomTV Invitational. Although I wished to examine the best-of-series results of all players across the various eras, there simply wasn't enough time to gather data from the various individual leagues that came and went like the GomTV Classics (KT-KTF Premier Leagues, iTV Ranking Leagues, GhemTV StarLeagues, Game-Q StarLeagues, GameBbugs Battles, and the list goes on and on). Like I mentioned before, any players who made their debuts before 2005, with the exception of Stork (who was still qualifying for the last ever OGN StarLeague in 2012), mostly because older generation of players competed under drastically different circumstances, and the resulting records from series play tend to be heavily influenced by the tournament structure, rather than the performance of the players themselves. Both Jaedong and Flash have had very similar best-of-series records within just the major individual leagues (Ongamenet StarLeague and the MBC Game StarLeague), 94-51 (64.83%) for Flash, and 93-47 (66.43%) for Jaedong. However, Jaedong pulls out slightly ahead due to his superior best-of-series records in other side tournaments such as WCG Korea (Jaedong is the only two time champion of WCG Korea) and 2007 e-Sports Seoul Festival. Flash is the player with the most number of victories just within the major individual leagues, albeit with a slightly lower win rate than Jaedong. Flash did enjoy great success in tournaments hosted by GomTV (GomTV Invitational, and GomTV Classic Season 3 in particular), but found it hard to find consistent success within WCG Korea, representing Korea only once in his peak year of 2010. Stork has been the player who participated in more best-of-series, the most out of any protoss players in history unless I am mistaken. This is something that hold true regardless of whether the records are confined to the major individual leagues, or expanded to include major side tournaments such as GomTV Classics or WCG Korea. 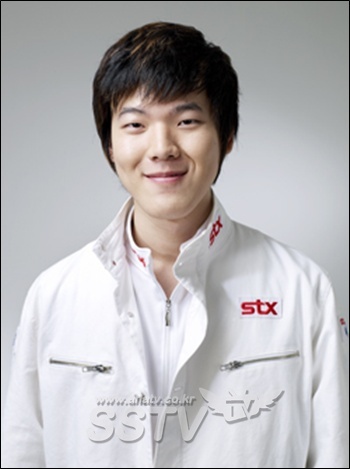 However, Stork also is the player that lost more within a high profile best-of-series setting, than any other modern day player (71 defeats suffered within a high profile best-of-series setting), most famously for his tendencies to come second place at any large scale domestic tournaments. Due to his large collection of failures, as well as poor performance versus the top zerg players of his era, Stork is often remembered more as a successful loser, rather than a memorable winner. The most famous protoss player, probably in all of history, managed less overall victories within a best-of-series setting than Stork (even if the parameters are changed to just include the two major individual leagues), mainly due to his erratic form, but also managed great success in a couple of key tournaments to make up for the kind of longetivity Stork boasted. Since the MBC Game StarLeague was Bisu's homeground, and Ongamenet StarLeague was Stork's, it may be interesting to compare the performances of these two players in a more neutral tournament that lasted for many years, WCG Korea. 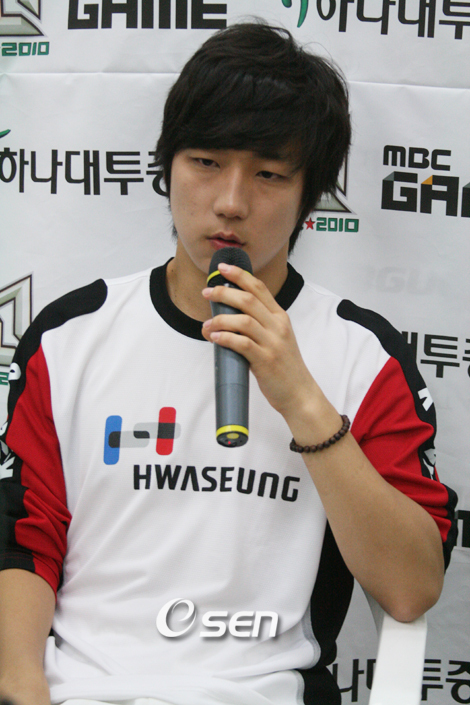 Bisu may have only represented Korea once, but he won WCG 2009. 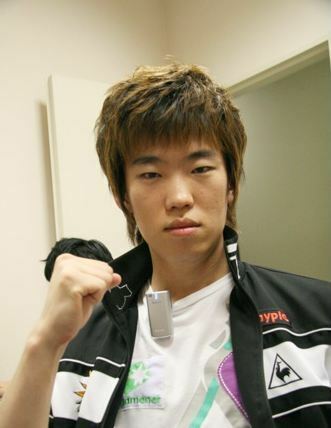 Stork on the other hand had longetivity on his side, and represented Korea a record three times (a record he shares with Jaedong), but never won a single WCG Korea title (he came second place three years in a row from 2007 to 2009). I was personally expecting FanTaSy, widely regarded as the fifth greatest player of the modern generation of Brood War professionals, to place fifth on this list. However, while FanTaSy was generall way more consistent in terms of qualifying for the lower bracket-stages, JangBi was the best best-of-series player outside of the Taek-Beng-LeeSsang quartet, as evidenced by his two OGN StarLeague championships, as well as numerous second place finishes in the MBC Game StarLeague, GomTV Classic, and 2007 Seoul e-Sports Festival. While JangBi isn't even the top ten ProLeague players of his era (in fact, JangBi has the worst ProLeague records out of the Six Dragons), JangBi was able to mark his name in history with a few short bursts of magic, that mostly had him run circles round his terran foes, with a success rate that even oveshadowed Stork's, generally considered the greatest protoss-versus-terran player of all-time. 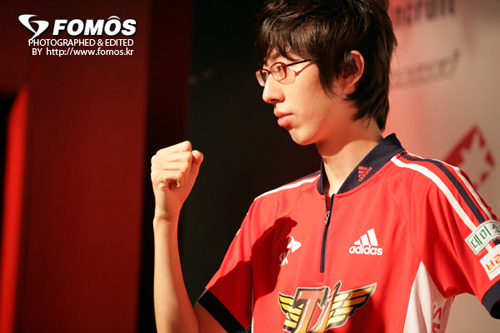 FanTaSy was widely acclaimed for his series play, and he was the second greatest terran of the modern era in that respect after Flash. Despite being mocked for his subpar bionic play, FanTaSy actually superb success against the zerg race when confined to a best-of-series setting, and only lost three high profile series to a zerg player during his entire career, Jaedong (twice) and Calm (once), who were two of the highest rated zerg players of the modern era in terms of achievements. Although it was actually the match-up where he saw the highest win rate within the ProLeague realm (he even had a higher win rate than Flash did with an astonishing 71.4% win rate), FanTaSy had a lot of hearbreaks at the hands of a protoss legend, most famously by JangBi, who defeated him in two back-to-back best-of-five finals series in 2011 and 2012. 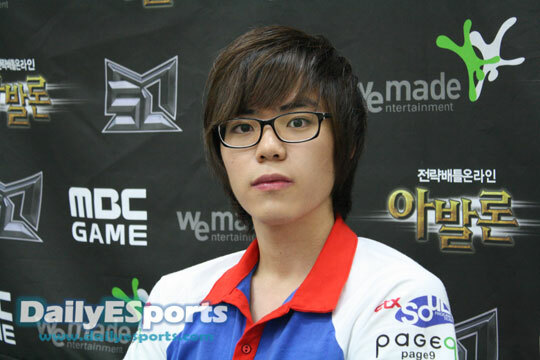 One of the most under-rated players of the modern era, Kal was somebody who was one of the most consistent members of the Six Dragons in terms of performance, but is often remembered for his lackluster results versus Jaedong, who he faced in four separate best-of-series, getting eliminated all four times, and going a combined score of 2-10. His notorious weakness versus the LeeSsang duet aside, Kal's sturdy performances within a best-of-series setting allowed him to get a top four (or higher) finish on five separate occasions in tournaments that I've listed (GomTV MSL S4, Clubday MSL, NATE MSL, Korean Air OGN StarLeague S1, and WCG Korea 2010), which is a record nobody apart from the players who placed above him and Luxury (Bacchus 2008 OGN StarLeague, EVER 2008 StarLeague, WCG Korea 2008, Lost Saga MSL, and WCG 2009) can boast about. Calm, also known as the "Brain Zerg", was famous for his extremely scrupulous approach in terms of preparing for games. Although he wasn't as technically gifted as other top zergs of his time such as EffOrt or ZerO, he was the type of player who had the potential to be even stronger if he was given adequate time to prepare for a series. However, he also was the type of player who would fall apart if things didn't go as planned, and under such circumstances people in Korean communities often mocked him for being the "Brain-dead Zerg". He was the modern day version of GoRush, the legendary player known for his meticulous planning and cerebral approach to the game. Both would be the kind of players that would try to win before the game even started, and despite being known for their in-game intelligence, they both had tendencies of fumbling heavily when things got awry. Calm may have not been the best at improvising, but when things went as planned, there weren't many players around who could stop him. Aside from the obvious names, Luxury is in possession of one of the most illustrious careers out of any modern day player. Despite his early exit from professional Brood War due to match-fixing, Luxury was a solid lock for the title of being the second best zerg player on the planet before Calm came around. 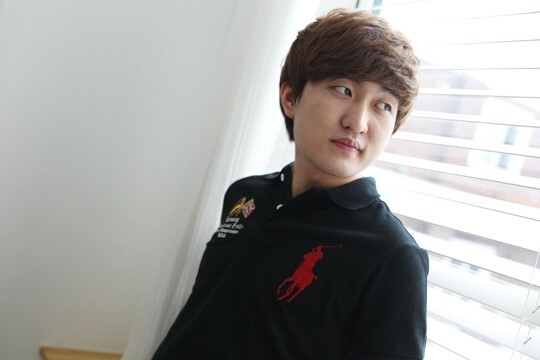 Luxury was known for his aggressive tendencies, and like his twin-brother YellOw[ArnC], who was the ultimate zerg-versus-terran specialist, he didn't have the greatest of success rate versus the protoss race, which was a pretty rare quality for a top flight zerg player. In fact, although I'll have check it for its accuracy, I believe that Luxury is the only zerg player to lose two best-of-five series to the protoss race (once by Stork, and once by BeSt). ZerO was the ace player of Woongjin Stars, and one of the greatest zergs of the modern era. ZerO's best-of-one record of games that happened within the round of 16 (basically, the group stage games of OGN StarLeagues) is actually pretty ridiculous: 13-2 (86.67%). I don't think any player can boast a higher win rate specifically for the OGN StarLeague group stages as far as I am aware of. ZerO fails to transfer his best-of-one excellence within the top 16, into a best-of-series excellence within the top 16, with a pretty mediocre win rate of 44.44%, and having a sub-50% win rate across all three match-ups. Such a drastic turn for the worse is one of the major reasons why Korean communities mocked ZerO for being weak of heart, or lacking a winner's mentality. I personally thought ZerO was a great player rather than a great competitor, and sometimes being good at the game simply isn't enough to bring the player in question all the glory in the world. Not entirely unexpected. It would be interesting to expand this list to 25 players (not asking you to do so, it'd be a ton of work, just saying). I think that this would allow enough space for some of the old greats who didn't get to participate in as many BoX series (unless I'm mistaken? ), and then what I find to be more interesting: who were the A-teamers who were just below the top echelon, and how do they stack up against one another? Since trophies went to so few unqiue players in any one age of BW, it feels difficult to compare "great but not amazing" players like Sea, Zero, Kal, etc. against one another. Thank you for your work as always! This is a list specifically made for modern day players. NaDa had his prime in an era where a player usually had reach the semi-finals to play a best-of-series, and winning a tournament offered around five victories from series play. Considering within the most recent MBC Game StarLeagues, a player only had to win his quarter-finals match to get five victories from series play (two from the round of 16, three from the round of 8), I think the comparisons are pretty flawed. For example, NaDa won the 3rd KPGA having played only two best-of-series (one best-of-three, and one best-of-five), which meant he got five victories from series play by winning that tournament. However, a player who won the MBC Game StarLeague in 2007, for example, would need to win four best-of-series in order to win the championship, and would get eleven victories from series play by winning the tournament. This had nothing to do with the actual number of players these players had to go through, I'm strictly counting series play from the round of 16 onwards, and modern day players happened to play in an era where the tournament structure included more best-of-series over round-robin best-of-ones or double elimination best-of-ones. This would slide him in at third place behind Jaedong and Flash. I could do the same list for a lot of the other legends, but with the plethora of tournaments to account for (too much of a workload for me at the moment), and unfulfilling nature of the data in terms of comparing players from different eras due to the vastly contrasting formats and circumstances, I don't really feel like extending the list to include older generation of players when if they belonged in the "wrong" era they can literally win five OGN StarLeagues in a row and win a KPGA Tournament on top of that, but be inferior to a player who won three MBC Game StarLeagues in the "right" era. What's the point of recruiting data from the past if winning six of the most prestigious tournaments of the time is less rewarding in terms of the records than winning three from another era (if we go by the most extreme examples)? It would be somewhat like making a comprehensive list of the players with the greatest ProLeague records of all-time (lowering the threshold to include players such as NaDa, and BoxeR), but forgetting the fact that a top player competing in 2010, had more than five times the number of appearances than a player who was the absolute best in 2003. At least with the modern day players, they have next to no excuses because they competed under the same circumstances. It would be like comparing the greatest forwards in football, but counting every goal scored in the modern era as two, or looking into the records of tournaments where modern day players get to play more than five times as many games as the older generation of players, and wondering why the older generation of players didn't score as much. I'll slowly expand the list to include modern day legends such as FanTaSy, Calm, and Kal. Due to the slow nature of my work, it'll take some time though. I'm aiming for a top ten list, and I'll try comparing with the top ten players in terms of their ProLeague records (listed in order by their overall number of ProLeague victories), and try to discuss which characteristics may have set the differences. Great article Thank you. Does this data include all current matches as well(ie: Flash's current dominance)? The criteria I've defined becomes next to useless after professional Brood War officially ended in 2012. I kept the list strictly within the confines of professional Brood War. There were a lot of tournaments that had participation from over 16 ex-professionals since the last ever official Brood War tournament (Tving OGN StarLeague), but I don't think it is fair to "punish" players for having a sustainable career in Starcraft 2. For example, earlier versions of Sonic StarLeague like the one won by Sky, would be included on my list despite none of the six players mentioned on my list participating in it, due to the virtue of having 16 or more ex-professionals participating in it. I could start off the list when the big names started to enter again, but trying to string together statistics from two totally different eras is quite hard to do fairly. Do I start with Bisu? Do I start with Flash? Should I count ASL Season 1 since Flash participated, or should I ignore it since Bisu didn't participate in it despite being no less competent than the eventual champion Shuttle? Do I just ignore everything and start counting tournaments that had far less quality like the earlier Sonic StarLeagues? Taking into account the post-KeSPA era is such a hassle that I just think of it as its own separate entity. It's like trying to figure out who was the best before the Korean Brood War scene found its footing, and trying to string it together with the records of the professional Brood War scene. Seeing TBLS on every all-time best analysis is too predictable. How do you do your numbers? Manually on a spread sheet? How about using a tool like Tableau or Qlik so you can scale your numbers better and visualize them? Heatmaps, histograms, pies, matrices would be awesome. That way you can also allow users to slice and dice the data. Tableau has a free public version and you can host your datasets in Google sheets and link them... that way number geeks can also see your data set and process and you will on the other hand be able to scale up your statistics/analytics for all players with data. All for free. I just look at the pages that has the tournament brackets, and add the relevant series scores up manually. Could you recommend me a site by its ease of use? I literally have never heard of these sites before. Never mind, I don't think I have the patience to master these tools. Maybe next time, I'll use Google sheets or something like that and let the experts go to town on the data. No worries, nevertheless I still appreciate these posts! Did you also collect the general boX winrates or only the game winrates while playing these boX series? I think the former stat would also be quite interesting. I thought adding the individual scores would be a decent method of stringing together records from best-of-three matches, and records from best-of-five matches. Otherwise a player who won five best-of-three series would be equal in score as somebody who won five best-of-five series. I could have made a list of all the best-of-three series, and made another separate list for all the best-of-five series, but I can't be bothered to do that as of now. Jaedong, Flash, Stork, Bisu, FanTaSy, and Kal are the only six players to make it into both top ten lists, and Kal is the odd one out here due to his utter lack of major titles. However, what he lacks in peak form, he made it up with rather consistent performances, and was one of the most under-rated players around in my opinion. There were a lot of great zerg best-of-series players such as Calm, and Luxury, who didn't have such a commanding presence within the ProLeague. In a similar vein, there were a lot of great terran players such as Sea, Light, and Leta who were great within the ProLeague realm, but never managed to translate that form when it came to crunch time within the individual leagues. I don't quite know what to make of this stark contrast of terran presence for both lists, one having only two terran players within the top ten, and the other list having five terran players within the top ten, despite the sample size being taken from roughly the same era, with the same players competing across both realms of competition. I'll look further into it later on. I'll attempt to explain some of the cases where a player was within the top ten of one list, but wasn't present on the other. 1) Some players thrive when given more time to prepare against a particular opponent. -> Players of this sort would thrive more under a best-of-series setting. -> Players of this sort would struggle when competing in the Winners League, due to the having to prepare for multiple different players on potentially four different maps. -> When the ProLeague stopped televesion the team entries in advance, due to the match-fixing scandal, in Shinhan 2010/2011 ProLeague, players of this sort, if they remained on similar form, would have struggled compared to their Shinhan 2009/2010 ProLeague performances, because back then the entries were exposed before the actual day of the match. 2) Some players thrive struggle much more when facing high quality opponents. -> Players of this sort would struggle in a best-of-series setting that was played in the round of 16 or above. -> Players of this sort would struggle more in ProLeague ACE matches, due to the generally higher quality of opponents. 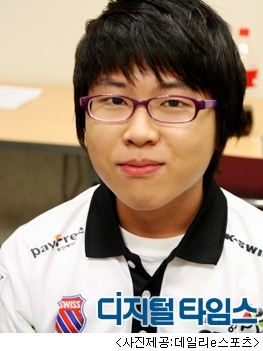 JangBi, for a player of his stature sucked balls in the Winner's League, having a 47.83% overall win rate. Further more, after the entries were hidden (to prevent match-fixing) his ProLeague win rate dropped from 58.82% to 41.94%, although it could also be explained by his overall poor form in the 2010/2011 season. Most importantly, when JangBi had time to prepare, he posted excelllent results versus top tier opponents during the ACE matches, and has one of the highest win rates out of players with over 10 ProLeague ACE match victories. Verdict: JangBi was a player that was rather dependent on time, and showed greater prowess under situations where he could snipe the enemy. Also, as discussed in my previous blog, JangBi was also utilized quite poorly by his team in general, facing the zerg race most frequently within the ProLeague realm, which may also explain his poor ProLeague records. Verdict: From the little inspection I did, I don't think Calm is showing any extreme tendencies one way or another, although Calm's overall career ProLeague win rate does rise slightly if you take away his Winner's League records. Also, his ProLeague win rate dropped by a little when the entries got hidden. I think Calm was a player that needed time, but his tendencies aren't being exposed as clearly as JangBi's case. -> The dude match-fixed (ProLeague matches in particular) and was gone after he was exposed. His data cannot be looked into with much detail. Verdict: I personally think ZerO struggles have to do with the level of competition he faced. His ACE match records are sort of bad, so perhaps he struggled when facing off against top flight competition. His OGN StarLeague round of 16 group records are nothing short of stellar (86.67% win rate), but his record once he actually reaches the round of 8 or beyond isn't the greatest. Verdict: I've already discussed the issue with Sea in my previous blogs, where he showed significant disparity in his win rates for the exact same tournament structure (best-of-one double elimination) for the Survivor Tournament, and the round of 32 of the MSL. Against 9th ~ 48th ranked players in the Survivor Tournament, Sea had a stellar win rate of 88.0% (the highest in Survivor Tournament history), but when facing 1st ~ 32nd ranked players in the round of 32 of the MSL with an identical tournament structure, his win rates plummeted to 46.4%. In my opinion Sea's poor performance within a best-of-series setting had more to do with his heavy newb-stomping characteristics, which can also be shown in his rather mediocre ProLeague ACE match records. Verdict: One of the most ridiculous cases of a player thriving only when the time to prepare for both players are minimized. Light saw his greatest success as a player within the Winner's League, the most preparation-unfriendly environment available in modern day professional Brood War (due to the need to prepare for two entire rosters appearing on eight different maps in a single week's worth of schedule). Even in the regular ProLeague matches, Light's records were vastly improved from 48.89% to 63.64%, despite 2009/2010 being Light's prime season. Light seemed to be a player who would have done better if every tournament was scheduled to finish within a couple of days, with essentially minimal time to prepare and adapt. Verdict: I don't really know. free wasn't that far off from making into the top ten greatest high profile best-of-series of the modern era, and I don't think he struggled especially hard versus top flight players as evidenced by his acceptable ProLeague ACE match records, and it doesn't seem like he struggled that much with extra-time to prepare, since he performed better in Shinhan 2009/2010 ProLeague (although that could just be his fluctuating form). Hard to make any verdict worth claiming here. Players within the top ten whose career win rates, or career match-up win rates differed drastically (10% difference or more), from their win rates within a high-profile series setting. Flash had a stellar ProLeague record against the zerg race (his win rates against the zerg race within the ProLeague approached 80%), and it was probably his best match-up statistically speaking within that realm of competition. However, before his thorough cross-team practice experience against the Woongjin Stars zerg aces (the first ever session had Flash going a combined score of 0-8 versus ZerO and Soulkey), in preparation for his numerous finals versus Jaedong, Flash was actually not particularly great versus top level zergs. 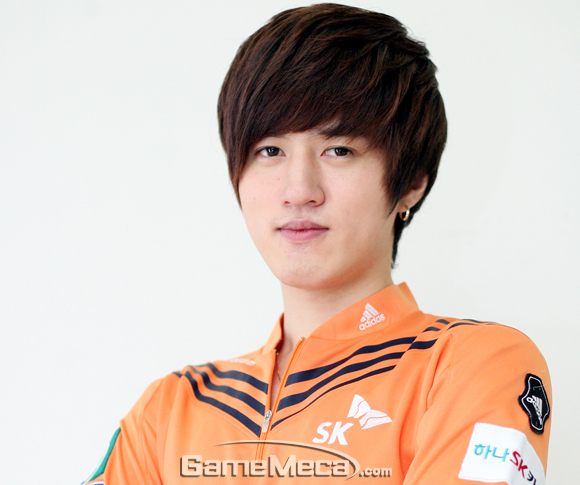 Before his ascension to the top, Flash had a tendency of being eliminated by zerg players such as GGPlay, Jaedong, Luxury, and Kwanro. After KT Rolster specifically arranged hours of training sessions with the zerg aces of Woongjin Stars (players such as Light said that he only practiced specifically against the zerg race if it was Jaedong, or the Woongjin Stars zerg aces, meaning Woongjin Stars was the best possible team to befriend if you wanted to prepare against Jaedong), that dynamic shifted, and Flash started to have much better success versus zerg players in general. However, his numerous series defeats against the zerg race from his first half of his career dampened his high-profile series win rates against the zerg race somewhat. It's true that Stork wasn't that great at the protoss-versus-zerg match-up. However, he still does boast a respectable 61.2% win rate versus the zerg race within a ProLeague setting. However, Stork had a horrendous best-of-series track record versus the top zergs known for their protoss-killing abilities from various eras, whether it was sAviOr, Jaedong, or ZerO. Funnily enough, when Stork came across these very players within a ProLeague setting, Stork went a combined record of 12-5 (70.59%) versus all three of these players. It is not that Stork couldn't beat these protoss-killing zergs, it was more that Stork's success against these players were limited to a best-of-one setting within the ProLeague. In fact, Jaedong mentioned during one of his streams that strictly within the ProLeague, Stork was just as difficult, if not more difficult to overcome, than Bisu, the greatest protoss-versus-zerg player of all-time. This wasn't a slight versus Bisu, who also had a fantastic record versus Jaedong limited to the ProLeague, 8-2 (80.00%), but was a testament to Stork's stellar record versus Jaedong within the ProLeague realm, 5-1 (83.33%). Bisu's strengths and weaknesses were even more pronounced within a high-profile best-of-series setting. He was eliminated at the hands of numerous terran players within a tournament setting, including the likes of GoodFriend, Flash, fOrGG, Mind, Iris, FanTaSy, and Sea. His records against the terran race within a ProLeague setting, were quite respectable, approaching a 66% win rate. In fact, he even went toe-to-toe against Flash within the ProLeague, having an even 3-3 (50.00%) record versus his nemesis. His godlike abilities versus the zerg race were even more accentuated within a high-profile series setting, and once you factor out best-of-series upsets which held in the preliminary stagesand brackets below the round the 16 (the most famous being his multiple defeats against Shine in the round of 40), and weird one-off showmatch type tournaments or invitationals that barely has any professionals participating such as GomTV Special Match or WCG 2009 versus Jaedong, Bisu was actually undefeated against the zerg race within a series setting. Due to such stark contrasts in terms of success within a high-profile best-of-series setting between these two match-ups, Bisu tended to have his abilities versus the terran race somewhat underrated, although it was pretty decent, especially within the confines of the ProLeague. Unlike the likes of Stork and Bisu, whose career narratives were basically focused around their series play (Stork being terrible against the zerg race, and Bisu being mediocre versus the terran race, regardless of what went on in the ProLeague), FanTaSy is a player whose career narrative of being excellent versus the protoss race is mostly based on his records within the ProLeague. FanTaSy boasts the highest career win rate versus the protoss race out of any terran players within the confines of the ProLeague. His all-time ProLeague record versus the protoss race is 50-20 (71.4%), when no other terran that I know has a win rate exceeding 70% versus the protoss race. However, his extraordinary success versus the protoss race, is a tale that needs to be told strictly within the confines of the ProLeague. FanTaSy had the misfortune of playing JangBi, arguably the greatest best-of-series protoss-versus-terran player of the modern era, multiple times during the peak of his powers, and his win rate within a high-profile best-of-series against the protoss race dropped below 50% partly due to his consecutive best-of-five defeats against JangBi towards the end of professional Brood War. Kal record versus the zerg race within a high-profile series setting was somewhat ruined by Jaedong, who he played within a high-profile series setting four times during his professional career. Kal went a combined score of 2-10 versus Jaedong, and if you erase that embarassing score from history, his win rates against the zerg race within a high-profile series setting rise drastically to 56%, somewhat matching his actual career win rates versus the zerg race over the course of his career. In short, Kal had a weird habbit of repeatidly running into Jaedong, who rarely lost protoss players within a series setting, and that explains the difference here. Calm only played two high-profile best-of-series against the protoss race during his entire career, and that was against Pure and Stats. The minimal nature of the sample size must have played a large role here. Luxury was an aggressive player who knew how to take risks, but due to the erratic nature of such players, and the relative lack of sample size due to his early exit from the professional scene makes it somewhat difficult to draw satisfying conclusions. One of the biggest anomalies there was, a player who was one of the best zerg players of the modern era from a holistic point of view, yet had such mediocre performances in a high-profile best-of-series setting. I always had the opinion that ZerO was a better Brood War player than he was a Brood War professional, and there must have been numerous intangible elements to his game that held him back as a player. One criticism that could be made was that ZerO was always stylistically risk-averse as a player, and was somewhat easy to predict as a player. Even though he was one of the best zerg players if both players had a gentlemen's agreement to a totally standard game, the fact that competition involved much more nuances than merely playing standard must have held him back.